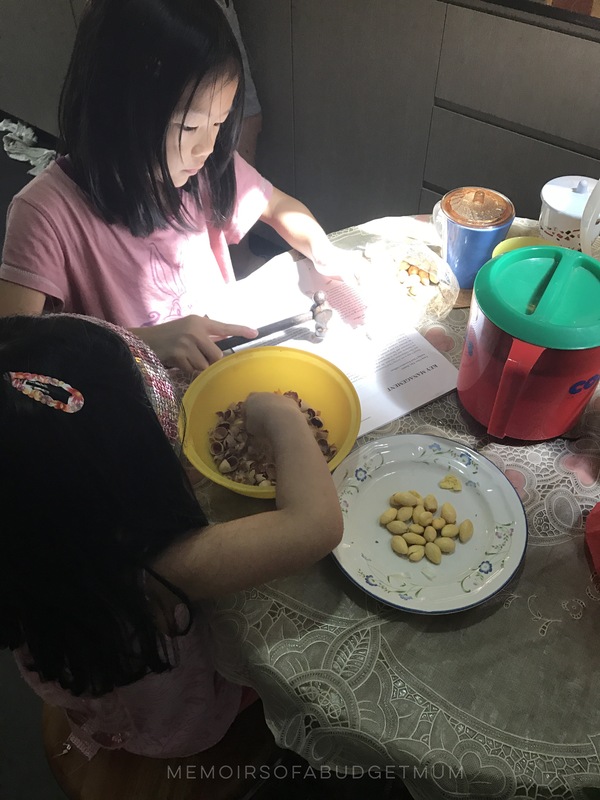 Getting The Kids Involved at Home – A Labour Day Post! It’s Labour Day today and I really had no intention of timing this follow-up post specially to coincide with it. However, since Labour Day is the only day this harried mama enjoys some downtime to expound on how we do chores in this family—it’s probably a sign that the heavens are in agreement! I used to cringe at home management. For someone organizationally and administratively challenged like me, I genuinely shuddered at the thought of setting up a spreadsheet for everyone’s chores…AND maintaining it. It sounded like I was setting myself up for failure: when things are put in a box within a scheduled time and you didn’t manage to put a check on it, it just wears you down slowly but surely and soon you’ll discover that you’re in a rut. Because of that, I literally dumped the idea of having a chore roster and chose to implement chores according to the flow of what we were doing that day: whether our day was a fluid one (running groceries, after-school activities) or a structured one (lots of seatwork), we tried to impress on the children to render help where it was needed. The idea was to simply invite the children to be involved in age-appropriate tasks/ chores as we went along. It went with the grain of simply encouraging them to be helpful! If you’re organizationally-phobic like me, there’s hope! 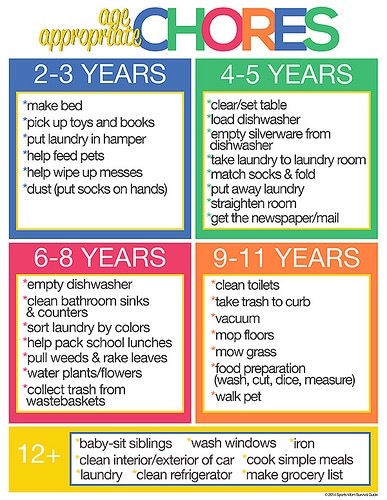 I discussed my chore philosophy in this earlier post but to sum it up, we felt teaching children to become cooperative members of a household is one of the best ways to teach them responsibility that would naturally lead to them being caring and considerate adults. So how do we go about the process of assigning chores? 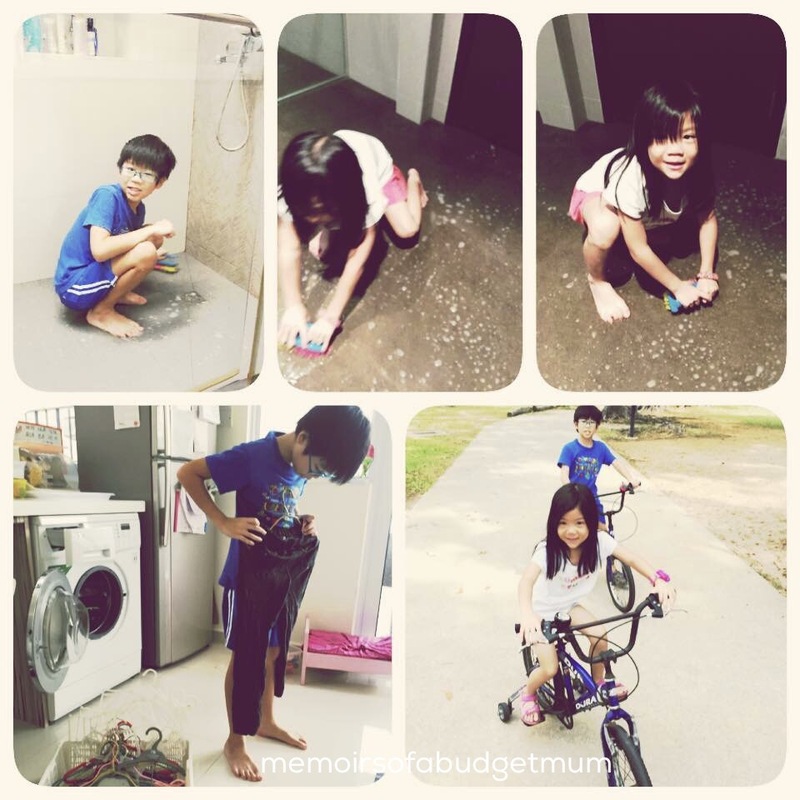 Firstly, hubby and I believe that girls and boys alike should do chores. There’s not really a need for differentiation at this point. Essentially, boys who learn to help at home and do household jobs will eventually grow into men who contribute actively in the household and ready to partner their wives through seasons of life—which goes a long way into making marriages work! All moms say “Yes!” Their future wives will thank you! While learning the alphabet and learning to read are important, knowing how to run the laundry, make the bed, dusting and basic kitchen work are also skills sets that are equally laudable. The former are milestones while the latter are not milestones per se but habits of the mind! Unlike milestones, which focus on achieving a certain skill, good habits need to be cultivated and reinforced through time and practiced over and over till they stick. The picture above is a guide so don’t feel restricted if you haven’t got this started. Expectations as to what jobs children can do will depend on family circumstances, numbers and ages of children and whether both parents work outside of the home. Whatever the circumstances, set aside time to train them in appropriate tasks. Give them space and communicate the expectation that they will soon grow into it! My then 3 year old used to whine and cry when she was made to pack her toys. She used to take books off the shelves and throw them all over the floor. She found it difficult to return the books back on the original shelf as she couldn’t manage the load of the other books while trying to slot the one she had in. The easy way was to pick up after her. But we reminded her each time to keep trying, offered some help and left her on her own. Slowly she realized how to lean the books one way and to put books in with their spines facing out. She still litters the floor today but doesn’t whine when told to pick up. It’s clear she’s acquired some confidence in this and she knows she’s expected to take care of her “library”. Just like we take time to master any given skill and to be good at it, giving our children room and sufficient grace to grow into the rhythm of help, takes the pressure off them. A few months should do the trick and select one or two skills to reinforce at any given time so there will be focus. Most children at a school-going age are eager to participate in doing things around the house. They are usually capable helpers and you can scale up adequately with some harder chores. In our home, when grandpa goes on holidays, he assigns the 7 & 10yo to help him water the plants in his garden while he’s out of the country. When they first started out, there were a few plants that were “slain” in the process and starved of water but slowly the kids got better. Given the ownership and responsibility, they surprised us one day by figuring out how to unlock and lock the padlock to the back door. Incidental learning is one of the great plus points of doing chores too…they end up picking up more than you intended to teach. This charm of helping out may last for a spell. 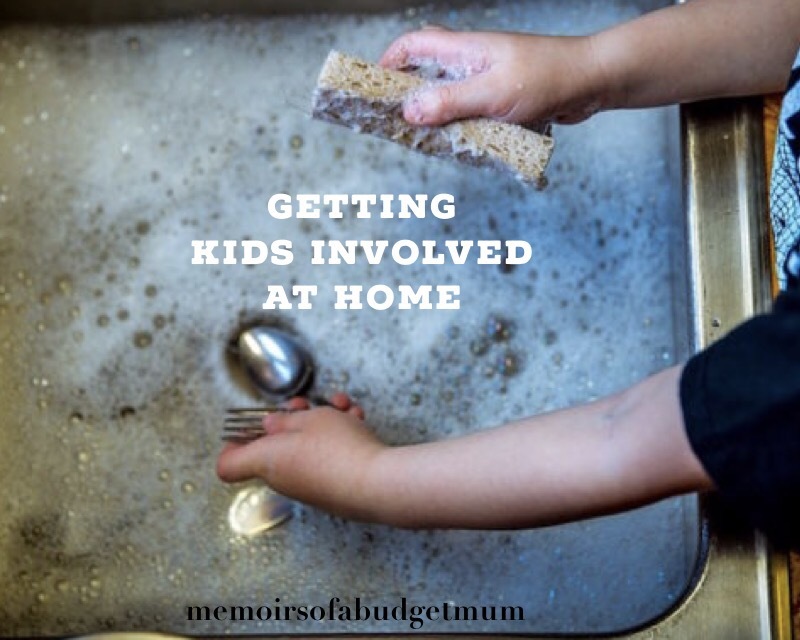 To be honest, I have faced resistance from older children in doing chores especially when they are NOT as eager to please and there’s competition with school activities, homework, and time with friends. During transitional phases like these, enforced schedules may not work. According to Fred Gosman’s “How to Be a Happy Parent”, kids can come up with ingenious ideas for avoiding their chores. One teenager whose job was to make sure there was always toilet paper in the bathroom piled 42 rolls next to each toilet. Another left the pan unwashed because he was only supposed to do “dishes”. It is ok to feel tired and ask for help if you don’t feel up to it. As family, we can help to chip in. It is NOT ok to show an attitude and be calculative. Almost always, it is likely to be a heart issue rather than a task issue and it may be wise to get to the root of it. This is our journey in chore training. Do you have any helpful handles to share? Singapore Kindness Run 2017 Kid’s Dash Giveaway!